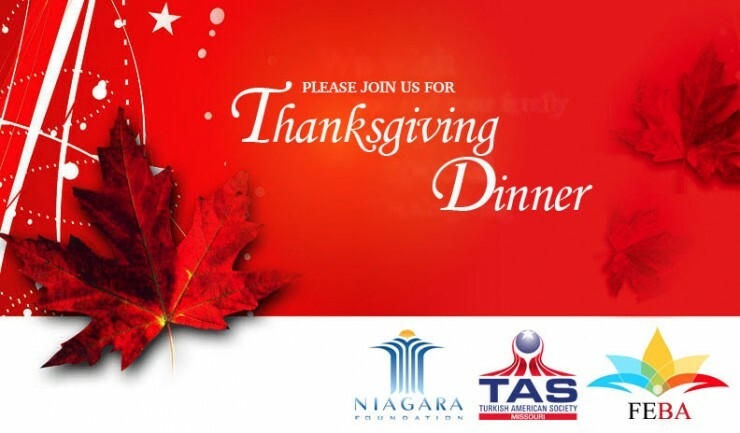 Niagara Foundation – Missouri is holding its Annual Thanksgiving Dinner on Nov. 18th at 5:30pm and all friends of Niagara Foundation are welcome! Featuring all of the traditional favorites in addition to vegetarian options, this is a great chance to share a meal with old and new friends of Niagara Foundation as well as the Turkish and Bosnian community. The event will be held at the facility of TASOM (Turkish American Society of Missouri).